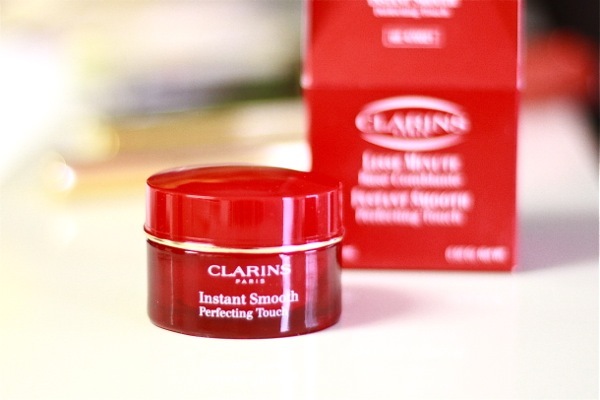 The first item is Clarins Instant Smooth Perfecting Touch (makeup base/primer), $32. It has a melting texture and it really does even out your skin making it the perfect canvas. I'm very careful with primers as they tend to break me out since my skin is not only sensitive but it's also acne prone (the worst combination ever). I can definitely say this base is the best I've tried so far. Second one is Yves Saint Laurent TOUCHE ÉCLAT, $40. Truly a magic tool! I had my eye on this thing for couple of years and finally it's in my makeup bag :) I use it every day now to brighten up my skin and cover some imperfections (though it is NOT a concealer), it makes your face look radiant :) I got it in color 2 (Luminous Ivory). Guerlain Terracotta Bronzing Powder, $49. I love its silky texture. But what I love more is how it creates natural looking tan. I'm very pale, and this powder gives me such a beautiful sun-kissed look. Love it. Let me and other readers know if you have used any of these products, and if you liked them or not. Loving the eye shadow....gorg colors! Secret tip on touche eclat! I actually use it on my cheeks and chin too, since I have sensitive skin and it tends to get red. 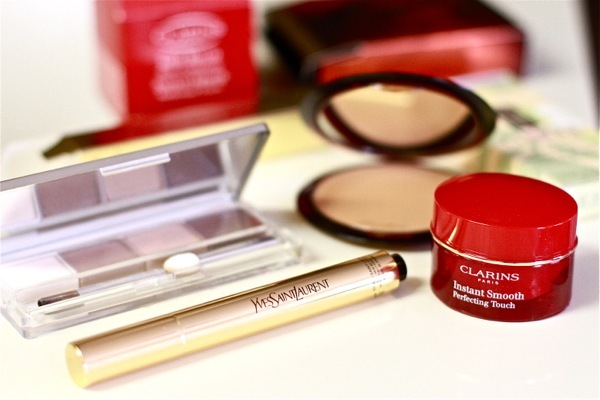 Clarins is such a great product! 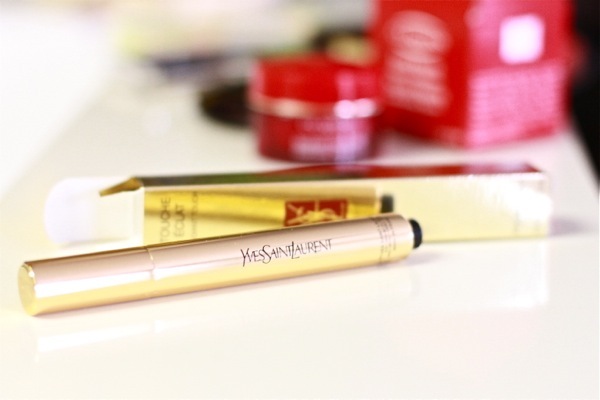 truly effective the YSL touche d'eclat! i used it too and it gives your skin light and life! and i must say that I'm gonna try the clarins base too! it sounds good! i can recommend you a very effective eye shadow base from Elizabeth Arden. 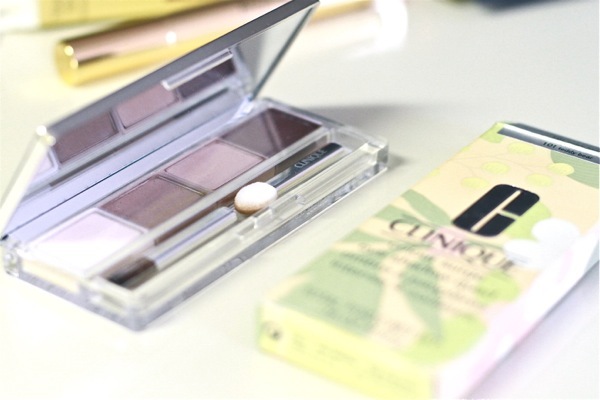 it truly gives a smooth and nice texture to your eye shadow! I love your beauty product reviews. Now, a Sephora trip is in order. 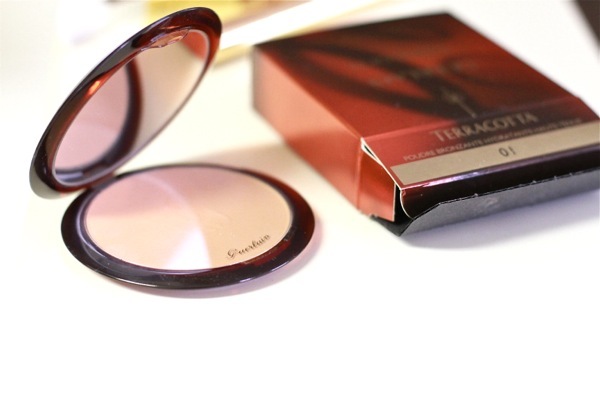 the Yves Saint Laurent TOUCHE ÉCLAT is a must have!! Esto productos son muy buenos,yo he probado algunos. touch eclat is a great product, I've been using it since a few years now (the same colour 2 :) and I'm really satisfied. so many amazing beauty products!! thanks for doing this feature...I was looking for a makeup base/primer! so maybe I will check out Clarins! I like this beauty product this beauty products are very amazing.